Remember to try activities meant for those learning to use a mouse! Today I was defeated 3 to 0 playing Core Word Race. To play each player must have a robust AAC system. 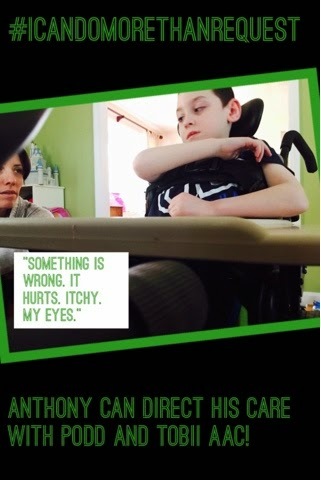 It is ok if different children have different systems, as long as they have a robust system. 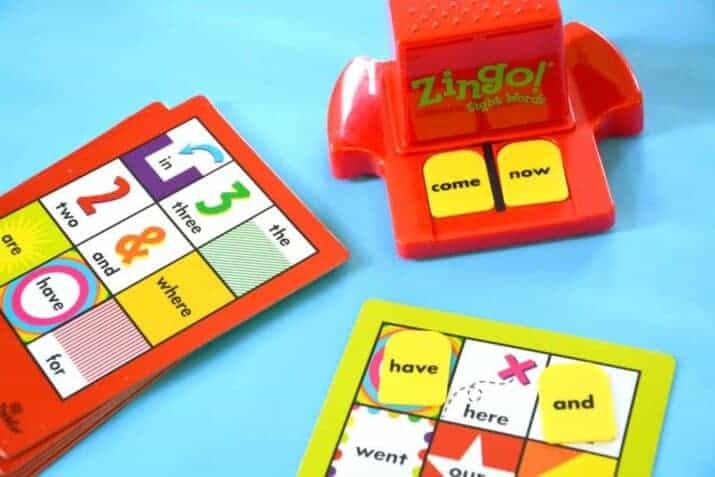 To play use the Zingo Sight Word card dispenser and dispense a word card, this happens to be a good time for some incidental literacy teaching! Next, say "on your mark, get set, go!" (You can record this on a sequential message switch if you want!) And race to fine the word on your talkers. First one to say it with their talker wins! Variations include having peers in inclusion find the word in a dictionary, a speed version where each player takes a turn while the others watch and the object of the game is to find as many words as you can in three minutes and playing with the Zingo! Think Fun version (or anyone that dispenses letters) to race to find a word, any word or a word in a particular category, that starts with the dispensed letter. 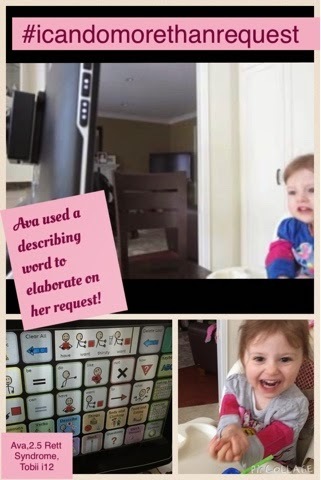 The post below applies only to high quality augmentative and alternative (AAC) systems with robust vocabularies and a well researched effort behind how the system works. For example (but not limited to): Proloquo2Go 3 or even better 4 with Crescendo Vocabularies using at least 15 buttons per page, TouchChat with Word Power 42+ or Pixons, Compass with Word Power, Gateway or PODD, Avaz, LAMP Words for Life and other Unity based lanugage systems, and PODD books created and used according to PODD training. 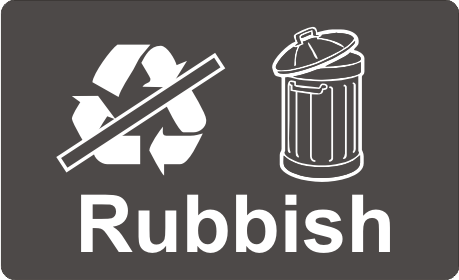 In general, a robust vocabulary means at least 100 words organized in an understandable, predictable manner (categorically, pragmtically, or semantically) using a consistent and meaningful symbol system. If you are wondering if your system qualifies as a well researched AAC System with a robust vocabulary please check out Jane Farrell's AAC app evaluations (3 stars or bust!) 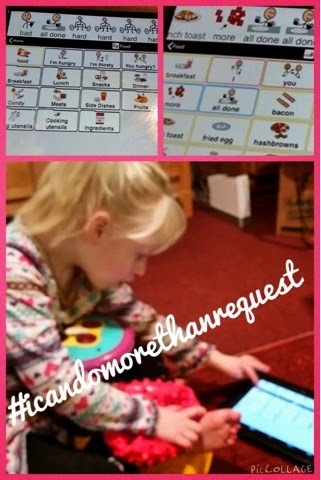 or the Does Your AAC App Measure Up handout and YouTube Video. If you aren't using a robust lanugge system with your students you should be! 1) The work is done for you! Teaching a child to communicate via augmentative and alternative communication (or to repair unintelligible speech with AAC) is a labor intensive task. Designing and programming a robust and well-researched vocabulary system is also a labor intensive task, but, with the right system, it is a task that has been done for you! Hurray! You will likely need to do some basic customizing like adding the users personal information and user specific frequently used words and phrases. However, the rest of the work has been done for you! Now you can focus on sharpening your language teaching skills, modeling, developing descriptive classroom labels, making low tech versions of high tech displays, training peers, parents and teachers and so much more. You have enough to do without recreating the wheel. 2) It isn't too much! I know looking at any robust system is overwhelming at first. So many words, so many colors. Maybe it isn't like the other systems you have taught. You are overwhelmed and you fear your staff, the parents and the child will be overwhelmed. You can't wrap your brain around this new system. You try to make a sentence and can't find the words you want. It's frustrating. So you think, maybe I will make something myself. Wait. All new languages are overwhelming at first. You have just landed in the airport in a country where you don't speak the language. The answer isn't to get back on the plane and leave and it isn't to hide in your hotel watching Netflix in your native language while just gesturing and pointing to clarify your wants and needs to the hospitality staff. The answer is to learn the language. Get in there! Make mistakes. Practice. Learn. Language is messy! Use just the basic single words at first. Build up to two word combinations and longer phrases and sentences. Then keep doing it. Soon it won't be too much - not for you and not for your user. Someday you will find yourself saying, "I never thought we would be worrying about word order!" 3) Choice Boards aren't communication! Choice boards have their place. They belong alongside robust communication systems for quick, in the moment, decision making. They cannot replace communication robust systems. And if you make your own vocabulary on a speech system there is a decent chance you will, probably, create choice boards. 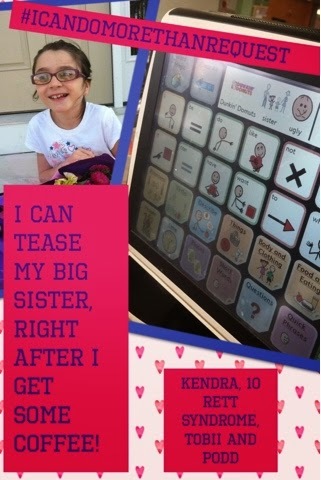 Remind yourself that AAC is for ALL the functions of communication. Not just wants and needs. Not just choices. If you feel like your student isn't ready for "the big time" of using a robust application thing about this: when a child needs to learn to ride a bicycle we don't send them back to practice on a Big Wheels. We put them on a bike! We add supports like training wheels that we quickly fade. We stand beside them and help them learn, running, out of breath, to keep up. We realize they need to be on a bike to learn to ride a bike. And we realize they need to have a robust communication system to learn to use a robust communication system! 4) Evidence Based Practice/Research Based are the words of the decade! Robust AAC systems have research behind them. Well done, core language based systems, have been researched to show the most frequently words used regardless of the grid size chosen. They attempt to keep symbol placement consistent across pages. Color Coding is deliberate and usually matches either the Fitzgerald Key or Goosens, Elder and Crain color coding. The high quality AAC systems - be they paper based, on a dedicated device or an app - have SLPs and others whose specific job it is to move research into practice. They agonize over whether to allow activity pages (which are not research supported for teaching long term language skills) or how to arrange less frequently used verbs or adjectives. They spend their days and nights deciding on features and grammar access and so much more so that you don't have to and their systems align with best practice/research. In some ways the SLPs and their teams at the companies that make high quality, robust systems are the unsung heroes of the AAC world. They keep current on the research, keep in touch with parents, teachers, therapists and users and somehow put all of that into their language systems. Using their work is working smarter, not harder and guarantees you can defend the vocabulary should the need to do that ever occur. Let's face it stuff happens. That kid you spent months creating a vocabulary for might move. And the new district may or may not keep using your work. Or they may go to adult services where all your carefully programmed academic and/or choice making vocabulary is rendered useless. Or the device may crash and you might not have backed it up. Or your hard drive with all the back up crashes at the same time! Or maybe since you are programming so much the next teacher or SLP will as well creating a perfect storm of "too many cooks in the kitchen". (I have had to restart AAC teachingSO MANY times because of "too many cooks in the kitchen"). Stuff happens. Using a robust, high quality AAC system "out of the box" with only changes for personalization increases the chances that your user won't have to learn a brand new system some day. 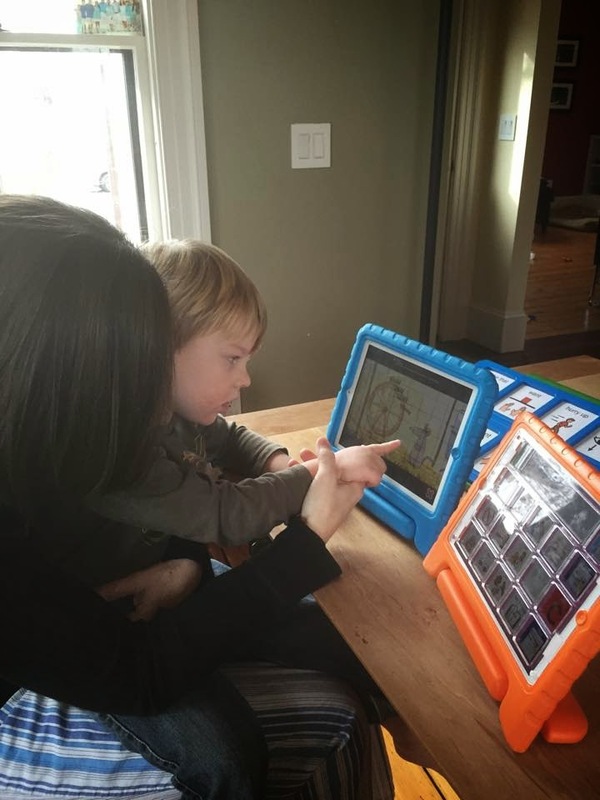 Learning a system with standardized symbols, color coding and organization now will make it easier if he or she DOES need to learn a new system someday. Using the high quality, robust vocabulary that comes with the system supports the user in the future as well as the user you have now. "You are working too hard!" 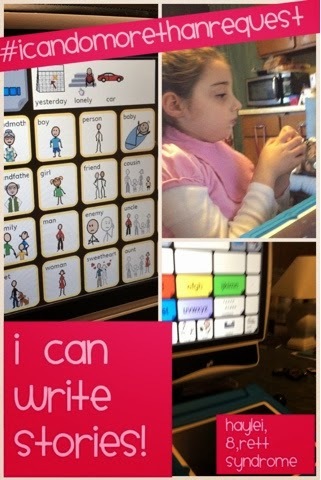 I frequently tell teachers and SLPs when I am called in as a consultant to support them and their AAC users. 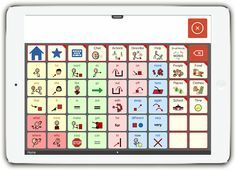 So many professionals think they need to program every word that the AAC user will need for an academic lesson, field trip or other occasion. As most of us know core words are the words that make up 80% or more of our speaking and writing. Words like put, go, help, like, it, that, why, then. With core words we can communicate, without them, not so much. And fringe words give us context. They are the reasons why we communicate. We need fringe words to talk about things like soccer, Disney World, our new bicycle. 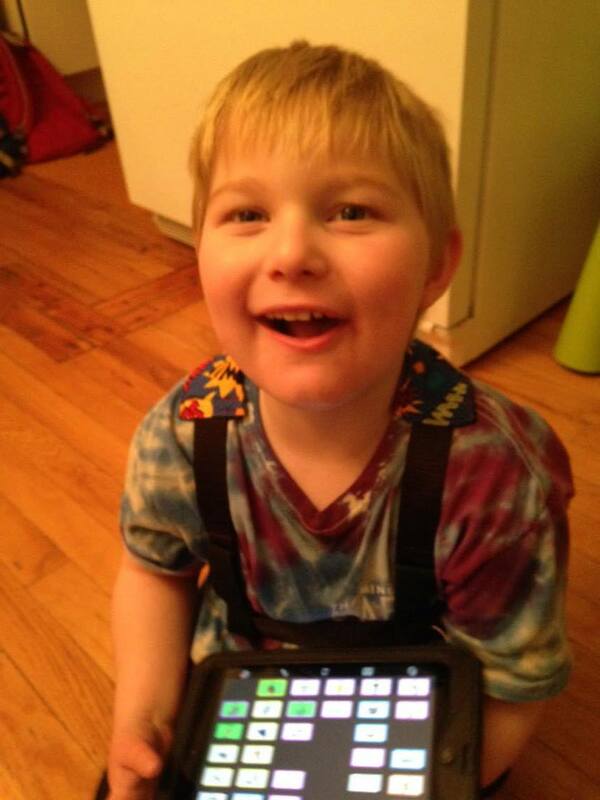 Important fringe words that are used frequently in the lives of our students belong on their devices for example pudding, blanket, My Little Pony, awesome, seizure, WWE or sensory table. Deciding the fringe words to program involves interacting with the child, understanding his or her interests and the interests of peers and siblings and figuring out what fringe words are salient and necessary to the child. Well we need to create a paradigm switch in our own heads and that of other professionals and paraprofessionals. We need to start asking questions that allow our students to answer using the words they already have on their device. 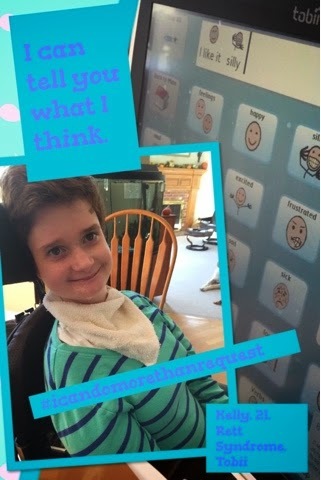 This serves multiple purpose (beyond saving us the hours and hours of programming), the most important purpose is our AAC users learn how to be creative and use the words they have to say what they need to say. 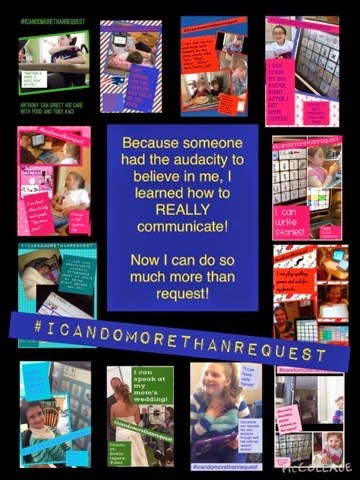 AAC is usually a life time learning process for our students and being able to communicate about topics when they don't have the specific words they need is an essential life skill. tell me his idea. After a few miscommunications and much frustrations he was able to say "tiny plays" and he had previously given me the hint that the word started with 'S'. Skits! Owen was able to use his communication repair skills and practice with using descriptive language to help me understand. Gail VanTatenhove invented the Descriptive Teaching Model to address this issue. She explains that teachers typically us a referential style of teaching, "What land form is surrounded by water on three sides?" and the students answer in a single word with a very specific fringe word, "peninsula". This doesn't work well for our AAC users. So instead we can ask questions they can answer using the words that they have, "Tell me about the water around this peninsula?" and the student can answer something like "not all around" or "almost all around" or "around most of it". Does the child know what a peninsula is? Clearly he does. You could ask some more, follow up descriptive teaching method questions if you needed to be more sure he understood. Similarly if you are teaching about the British Army during the revolutionary war you could just say, "Tell me something you know about the British Army." All sorts of answers would be appropriate, "they wear red", "they are mean", "they fight", "they have horses", "they hurry" and so on and so on. Here are some resources to help you learn about and begin to use the DTM. It is time we all embrace a new way of looking at this. Let's think about age respectful instead of insisting on age appropriate. Age respectful means that when something is our choice we choose items, activities and interactions that are respectful of the age of our student in our setting. We choose typical and adapted books that will be motivating and are respectful of the students age (an adapted version of Huck Finn in middle school instead of a Brown Bear, Brown Bear, for example). While at the same time we allow choices made by the individuals themselves to reflect their tastes and interests. Age respectful means we offer and teach how to do new activities and use new materials while never judging the student for choosing to return to old activities or materials. Age respectful provides multiple meaningful opportunities to expand exposure to new ideas, activities and experiences because we like what we know. We do this not to replace "age inappropriate" choices but to augment and expand our students' horizons. If we wish to be truly successful at this we try to stay just one step beyond current tastes and interests. 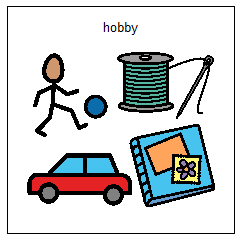 Age respectful re-frames (formerly "age inappropriate") interests as legitimate hobbies, collections and interests . Meaning that an interest in Elmo including collecting Elmo items can and is a hobby for many people of all abilities. Age respectful means that we teach our students manners. All of our students. Students who love Barney learn that one really needs to ask and gage the interest of others before sharing about that hobby enthusiastically. Students who don't share that interest need to learn how to politely redirect the conversation. Age respectful means that the rules apply evenly. If bringing toys to class is unacceptable then it is unacceptable for ALL students from the student with the Star Wars collectibles to the student with the Big Bird toy. Age respectful is about making choices that respect our students while age appropriate is about assuming we can and should make choices FOR our students. 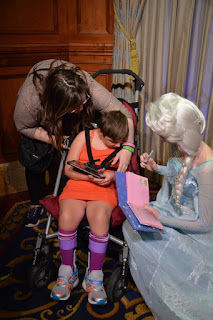 Often times I share success stories about students I work with - the girl with Rett Syndrome who is reading, the boy with Cerebral Palsy and multiple disabilites who writes stories with his communication book, the teenager with Angelman Syndrome who received a speech device a year ago and saw a massive decrease in agressive behaviors. These stories, true and meant to inspire and illustrate often have a very different result. One result I commonly hear is educators, therapists and parents who think that there is something exceptional about the child in the story. Some gift or ability that their student with a similar disability does not posess. This leads the educators, therapists and parents to believe that their student, client or child can't possibly achieve the literacy, communication, self-regulation or other skill examined in the story. The problem is that the comparison being drawn is often between a child who has had specfic intervention and a child who has not. This is like comparing a "before" makeover picture of one person with the "after" makeover picture of another. 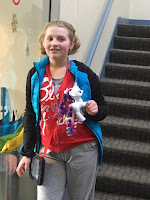 The girl with Rett Syndrome, while wonderful and smart, did not suddenly begin reading because she has something others with Rett Syndrome don't have. 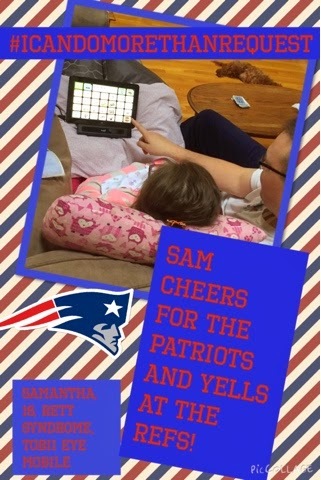 She learned to read because of a concerted long term effort by her TEAM. This included not only excellent instruction by a multi-disclinary TEAM but also faith that even if we never got to independent reading with comprehension our efforts were worth it. 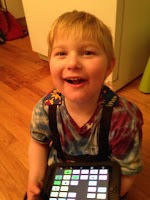 The boy with CP and other disabilities who writes stories (usually about superheros) with his PODD communication book isn't an exception he is simply a child who's family decided to focus on what he can do, to set high expectations and to hire homebased TEAM members to teach him the communication and literacy skill he needs to learn at grade level in school. 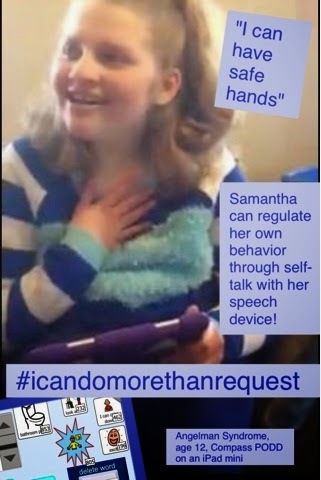 The teenager who finally got a communication system at 13 and learned to use it to help regulate her anxiety and behavior doesn't have the genetic mutation that leads to a less challenging form of her diagnosis, there is nothing that makes what she can do somehow singular or or "higher functioning". The reason she has those skills is a year of intensive three to five hours a week of specific intervention to teach her how to do those things with family follow through at home. All of this is to say that when we hear about children similar to our students, clients or own children who are doing things our kids aren't, we shouldn't assume that our kids will never get there... Or that the other child possess something ours doesn't. We should realize they just aren't there YET! popped up claiming their way of doing it is magical even! However, it doesn't take much to do effective video modeling for any skill, including Augmentative and Alternative Communication. Essentially all you need is the child's communication system or a duplicate of it and a way to record video - which can be your phone, a tablet or a camera. The purpose of video modeling is to create a video representation of a skill that can be watched and imitated. Video modeling doesn't replace instruction, visual supports or interaction. Instead it reinforces skills taught and, for some learners, can act almost as a video encyclopedia where they can "look up" how to perform a skill. Video modeling in AAC allows students to have additional aided language stimulation outside of instruction or interactions. It can also be a way for the student to review vocabulary they have learned. 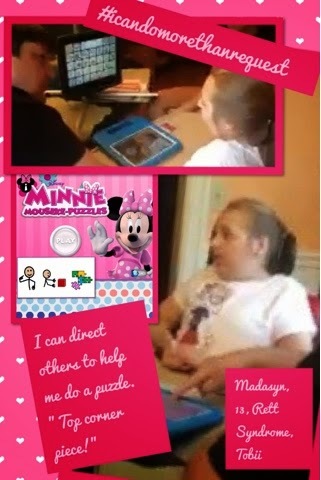 Video models of AAC can be used instructionally or students can self-select watching them during leisure time. There are quite a few resources online to guide the process of selecting what to target for video modeling, creating the video and collecting data on video modeling effectiveness, such as this one from the National Professional Development Center on Autism Spectrum Disorders. There is also much to be found on Google Scholar to provide as evidence that video modeling is best practice. 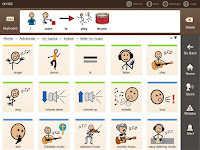 When possible involve the student in the making of the video or the selection of the vocabulary or skill to be modeled. This creates "buy in" and many students like to see themselves on the screen. Some of my students who have helped to choose topics for video modeling learn ask to have a video when they are having trouble finding certain vocabulary! Be sure the video focuses on the skill/vocabulary you want to teach. Plan out ahead of time what you will model. Make sure the video is engaging and motivating, especially if the student will be encouraged to self-select watching the video. Using puppets, music or other motivating topics can be useful. Keep the videos short. Under a minute is usually good, but under 3 minutes for sure! Create an easy way to select and access the videos for parents, aides or the student him or herself. 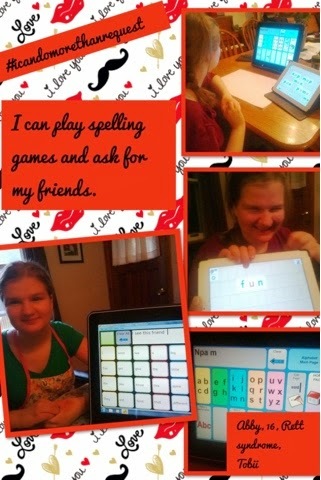 This can be using an app like Pictello, Go Talk Now, Niki Play or Word Toob on an iPad or similar apps on other tablets. It can also simply be uploading the videos to YouTube, creating a playlist and bookmarking or copying a shortcut to the desktop. Consider creating playlists where the video models are a "commercial break" between preferred other videos. The Therad app allows for this to be done on the iPad but it can also be done using YouTube or any other means of creating a playlist. This is especially effective for kids who are "video junkies! If you happen to catch good samples of effective communication by the student or aided language stimulation on video during sessions you can add these to the playlists as well. Video model of how to say stop. This video shows a model of how to find the word "parade" after the student asked for it. Congratulations new special needs teachers! Here are somethings I would tell myself, the young teacher, at 22, if I could (and if I thought I would listen - because I doubt I would have). All you can do is your best, and you need to do it every day. What you have now is passion, what you will have in 15 years is experience, if you want to make it through the journey from one to the other then you need to take care of yourself, keep learning and make it about the kids. Do the next right thing. That is how you will be able to sleep at night when push comes to shove. Don't cut and paste the narrative parts of any evaluation or IEP. The child deserves your full attention for that part. If you are going to cut and paste anything else be sure you don't forget to change the gender, name, etc. You may know that the statement about, say, the reason the child requires a special vehicle, is the same from IEP to IEP but the parents don't. It absolutely is possible to frame everything you need to put in a report or IEP in a positive manner. "Jane is a wheelchair user who depends on others for propulsion" is a better choice than "Jane is unable to walk or push her own wheelchair". Take the time to find the positive. When it comes to Velcro designate a pair of scissors, "Velcro only" and remember "Soft Stays, Rough Rides" or "Hard on the Card" (the fuzzy/loop part goes on the wall/board/book and the hook part goes on the thing you will be removing and replacing). Trust me this is good advice and will save many headaches! Also "Soft Stays" means you can use felt or Veltex or your sweater or a cubicle wall to stick your cards/items/misc too. You are paid in stories, you are the one who gets to decide what kind of stories they will be. Teachers' rooms can be pits of despair (yes, like in the Princess Bride) avoid them if the crowd who is there when you are is negative or complains a lot. Try to surround yourself with people who love being a teacher. School picture day might be a bit of a hassle for you, but for parents it is a view of who their child is at school. Take time to ask if parents want glasses or a bandana on or off, wheelchairs under a drape or not or a clean shirt put on. It matters. Then do whatever it takes to coax a smile and charm the photographer into taking a few more shots if needed. 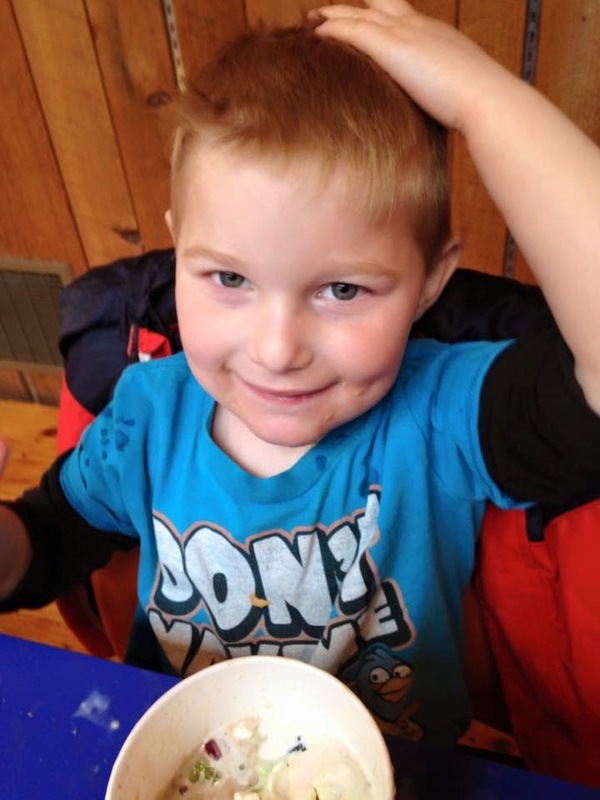 Don't terrify parents about whatever the next transition is (be it from EI to pre-school or to adult services), that doesn't help anyone, instead help them know what to look for to know things are going well. Parents need to have the information you have about learning, communication, socialization and more. Try to find a way to share it with them. Your 30 hours a week for 44 weeks of a school year pales in comparison to their time to teach their child. Help them be their child's best teacher. You will have bad days, you will go home crying, you will find yourself worrying about work. That means you care. Find ways to get through those days that reinforce your passion. Enjoy teaching, seriously, have fun. After about five months using a robust system Samantha can order cake! present in a child with Angelman Syndrome. Angelman Syndrome or AS occurs in about 1 in every 15,000 births. The child with AS is likely to have motor, balance and coordination issues that affect both fine motor skills and gross motor skills. Medically, seizures occur in many cases and feeding issues may occur in infancy. Problems with sleep are common. Children with AS tend to be social, have a happy disposition and may have stereotypical hand movements like flapping. 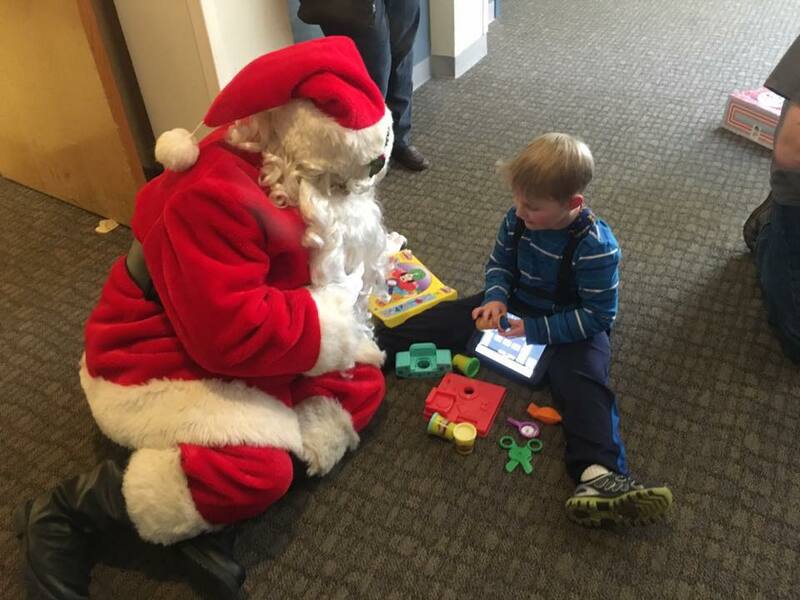 Apraxia of speech affects all children with AS and most have only a few spoken words or communicate only using alternative methods like facial expressions, gestures, adapted sign language, and augmentative and alternative communication. Like all children who are non-speaking sometimes behaviors act as communication if no other means is provided and taught. Many children with AS are attracted to water and enjoy swimming, bathing and water tables. It also is fairly common for children with AS to be attracted to media such as music, videos and interactive electronic games and devices. Students with AS may have vision issues including cortical vision impairment, ocular albinism and other problems. They may also have problems with auditory processing. Many children with AS have much fairer complexions their the rest of their families. Most learners with AS are "consistently inconsistent" they should be measured by their best days not by the days when seizures, a disorganized sensory system or sleep issues are impacting them. Children with Angelman Syndrome, like children with many other genetic and acquired disabilities who can not be formally evaluated, are almost always underestimated. High expectations and a presumption of competence are essential in teaching these (and all) children. 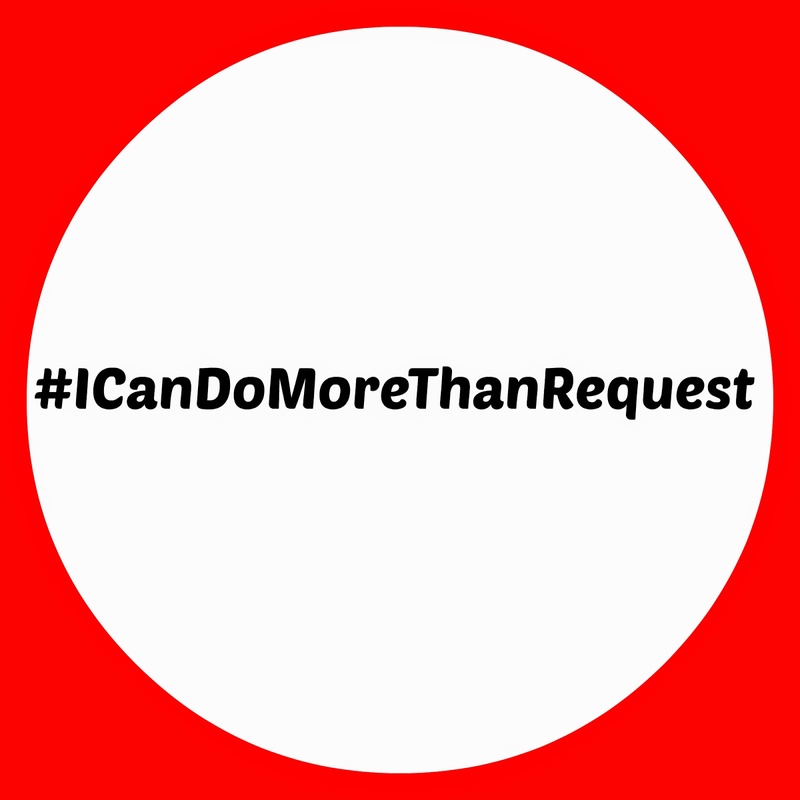 don't get stuck in the request rut, requesting (manding) is an important skill but it doesn't need to be the first or only thing you work on in AAC, furthermore a child who is only able to request will appear to have severe developmental disabilities even if he or she does not because requesting is such a tiny part of communication and social connection. 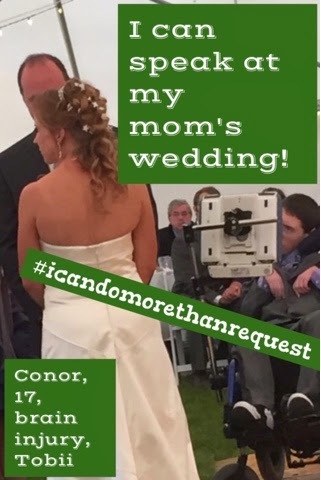 Imagine a conversation if you were only able to request. "How are you?" "I want drink. "I see you have your red shirt on today" "I want outside"
include the ability to communicate about favorite people, places and things as well as favorite past events in the AAC system along with the core vocabulary and student specific fringe words, talking photograph albums are a great way to do this! 1 for talking and 1 for playing! Remember the child needs someone to talk with, something to talk about and something to use for talking this often means a tablet for playing with and one for talking about what you are doing! perceptual salience is key in AS, you must talk about and model how to talk about what is grabbing the child's attention at that moment - even if you ignore it they won't! Name it and then you can move on, better yet name it and use it to inspire communication teaching! but some inclusion is better than none! inclusion should include inclusive instruction (not just "specials" and lunch) See Erin Sheldon's research on this topic for more. 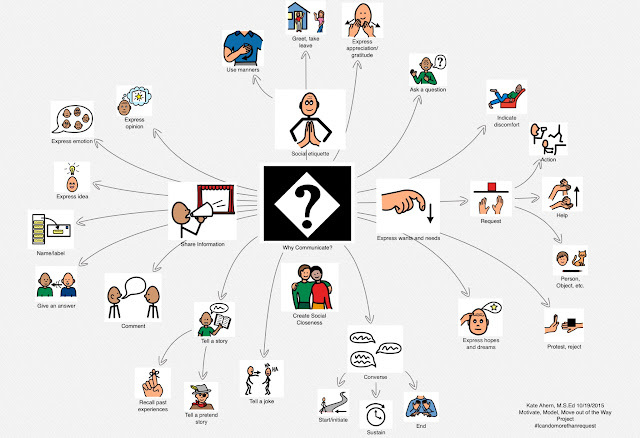 adapted sign, gestures or other communicative behaviors so everyone will understand them. 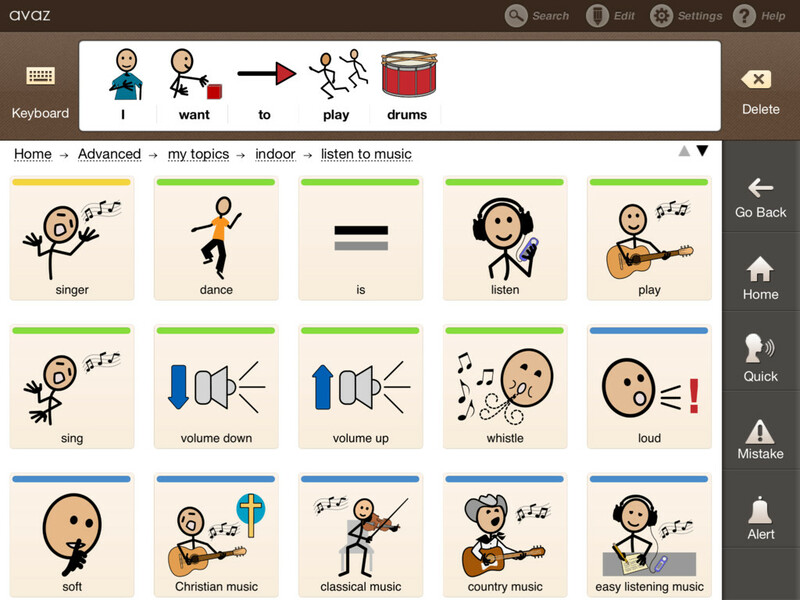 You can then pair the glossary entries with videos of how to say the same things using the AAC system as a teaching tool. Be careful not to socially reinforce something that might be cute or funny the first time but won't be the 300th time. Remember that it is easier not to socially reinforce something the first time it happens than it is to replace that behavior later! Reading is a Life Skill! and so is writing! Be sure to offer access and instruction to traditional writing tools as well as alternative pencils. Once you have done these basic be sure to watch Carolyn Musslewhite, Gretchen Hanser and Erin Sheldon's seminars on AS and Literacy on YouTube - Prepare tohave your teaching change for the better!